Rohit Gurunath Sharma was born 30 April 1987, in Bansod, Nagpur, Maharashtra, he is an Indian cricketer. Sharma is a right-handed middle-order batsman and occasional right-arm offbreak bowler. Rohit Sharma oozes batting talent: malleable wrists, knack to find the gaps, and the extra half a second when he plays his shots. He first came to limelight when he exuded class at No. 3 in the Under-19 World Cup in Sri Lanka in 2006. Rohit Sharma is a fine batting talent - he displayed his class in the ICC World Twenty20 campaign in early 2008, and later, in the ODI tri-series in Australia. He made his place in the Indian limited-overs side more or less permanent, and is also being looked at as one of the replacements with retirements just round the corner in the Test middle order. He pressed a claim for higher things through two centuries in the 2008-09 Ranji final, a feat last achieved by Sachin Tendulkar and only four others before him. 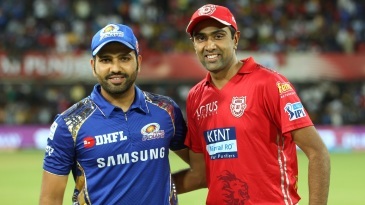 Find Rohit Sharma profile and stats of batting, bowling and fielding including latest updated news of Rohit Sharma, videos and images at Hamariweb.com. Also find detail Player profile and career statistics of Rohit Sharma of India. 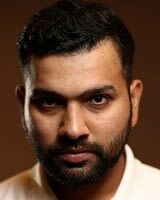 Rohit Sharma - Find Rohit Sharma of India Cricket Team complete player profile, number of matches, runs score, wickets & catches, Statistics, Records, Rohit Sharma Latest News, Rohit Sharma Videos, Rohit Sharma Photos, and other Rohit Sharma Cricket Team players.